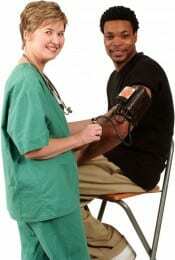 ← Health Screenings and Naturally Slim Starting Soon! Wellpower’s focus this year is on exercise, nutrition, and stress reduction because improving our lifestyle habits in each of these areas can positively impact our overall health and wellness. Wellpower’s spring reward period officially begins February 4, however registration for the first challenge will begin January 28, 2013. If you completed both a health screening and the HRQ in the fall of 2012, you are already eligible to earn a reward in the spring. You will need to repeat the screening/HRQ process in the fall of 2013, not this spring. However, if you last completed a health screening and the HRQ in the spring of 2012, you’re due to renew! That means you need to complete a screening and HRQ before June 21, 2013. The easiest way to do that is sign up for a free on-campus screening now. Wellpower is offering screenings between January 23 and February 1, 2013. Register today! Wellpower also offers alternatives to the on-campus screening which allow you to get a screening through your own medical provider or through Dallas Diagnostics Association. You will need to have recent lab results or screening results on hand when you complete the HRQ, so complete your screening and then the HRQ. In addition to the screening/HRQ, participants will need to earn 3 credits in the Spring Reward period. Wellpower will offer three 6-week long structured challenges, the ability to create a personal challenge, the Weigh-In/Weigh-Out challenge, and the Naturally Slim class. Each is worth 1 credit. Wellpower will host two orientation sessions, one live session as well as one online webinar to kick off the spring reward period. If you miss one of those sessions, there will be recorded webinars to help guide you and you can always get help from a Wellpower team member if needed. Want to get started now? Download the pdf version of the schedule. Free Wellpower classes have a “star” on them. Also, try any other Group X class for FREE January 22 – February 4! Dedman Center membership is required. This entry was posted in Health & Wellness, Resources, Uncategorized, Working at SMU and tagged Health Risk Questionnaire, health screenings, HRQ, Spring reward period, wellpower. Bookmark the permalink.